Born in Georgia in 1944, the legendary Gladys Knight began singing with her siblings at age 8, calling themselves "The Pips." The group opened for many R&B legends in the 1950s before heading to Motown. There started the legend that became Gladys Knight & The Pips. In 1996, Gladys Knight & the Pips were inducted into the Rock and Roll Hall of Fame and in 2007, Knight received the Society of Singers ELLA Award at which time she was declared the ‘Empress of Soul’. She is currently listed on Rolling Stone's list of the Greatest Singers of All Time. Capturing the essence of the Multi Award Winning Ms Gladys Knight, Hayley Ria Christian portrays her, capturing the true magic that Gladys Knight provides on stage. Featuring the hit songs like ‘Baby Don't Change Your Mind', 'Help Me Make it Through the Night', 'Try to Remember/The Way We Were', 'Part Time Love', 'Licence To Kill' and her signature tune 'Midnight Train To Georgia'. 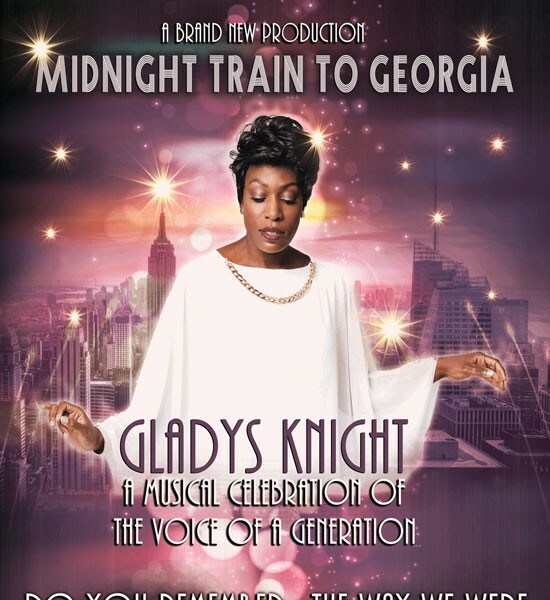 This production is definitely not a tribute but a faithful portrayal and pays homage to the Empress of Soul…..the one and only Ms GLADYS KNIGHT.